The medicinal powers of aspirin, digitalis, and the anti-malarial artemisinin all come from plants. 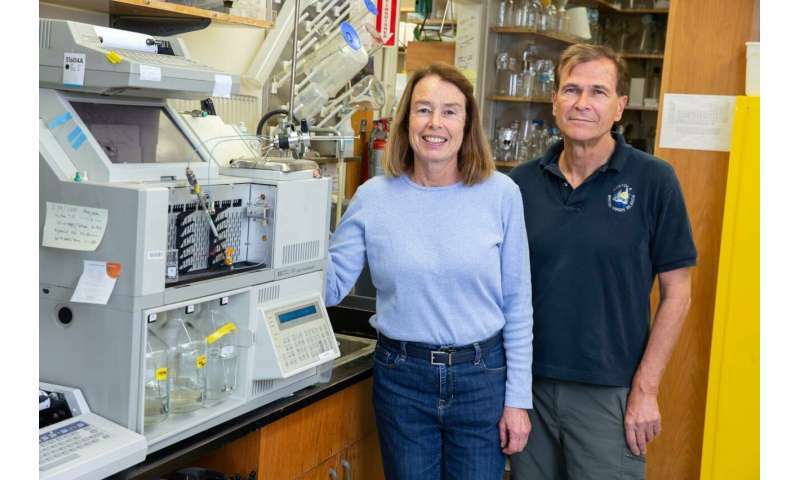 A Salk Institute discovery of a potent neuroprotective and anti-inflammatory chemical in a native California shrub may lead to a treatment for Alzheimer's disease based on a compound found in nature. The research appears in the February 2019 issue of the journal Redox Biology. Native California tribes, which dubbed the plant "holy herb" in Spanish, have long used Yerba santa for its medicinal properties. Devotees brew its leaves to treat respiratory ailments, fever and headaches; and mash it into a poultice for wounds, sore muscles and rheumatism. Through the screen, the lab identified a molecule called sterubin as Yerba santa's most active component. The researchers tested sterubin and other plant extracts for their impact on energy depletion in mouse nerve cells, as well as other age-associated neurotoxicity and survival pathways directly related to the reduced energy metabolism, accumulation of misfolded, aggregated proteins and inflammation seen in Alzheimer's. Sterubin had a potent anti-inflammatory impact on brain cells known as microglia. It was also an effective iron remover—potentially beneficial because iron can contribute to nerve cell damage in aging and neurodegenerative diseases. Overall, the compound was effective against multiple inducers of cell death in the nerve cells, according to Maher. "This is a compound that was known but ignored," Maher says. "Not only did sterubin turn out to be much more active than the other flavonoids in Yerba santa in our assays, it appears as good as, if not better than, other flavonoids we have studied."